Evolution may evolve through many mechanisms like mutation, migration, genetic drift but natural selection is the most famous and the most strongly accepted one. While Artificial selection involves unnatural selection or selective breeding, with the interference of humans activity. In Natural selection fittest organism is selected naturally, which is able to cope up and is adaptable to all kind of situations like variations in weather, temperature, shelter, gaining of nutrition, genetic drift, etc. In artificial selection, organisms with the desired traits are been selected and further, they are been genetically modified with the advancing technologies evolving in biology. Hence we can say that natural selection is what natures chooses at its best, while the artificial selection is what humans choose on the basis of its requirements. The idea of evolution was proposed by Charles Darwin and the theory is called ‘Darwinism’ or Natural selection theory. In the given content we will discuss the differences between natural selection and artificial selection, which could be helpful in knowing them better. Meaning Natural selection involves the natural process of selection, favouring the most fittest which is able to face all types of situations. Artificial selection involves the artificial process where selection is done by favouring the desired characters in the new organisms. Chances of survival Chances of surviving increased. Selection of characters is done artificially hence chances of surviving of new breed is at risk whether it is a plant, or animals or any other organism. Process rate Slow and long process. Faster. Controlled by Controlled by nature. Artificial selection is controlled by humans. Performed on Natural selection is performed on all types of organisms. Artificial selection is processed on some selective organisms of humans desires. Selection of traits Selection is totally based on the adaptable character and the one who is able to cop up in all types of natural conditions. Selection is done on the basis of required character. Transformation It transforms the entire population of a species. It brings out the new variety of that species. Type of selection Natural selection. Man-made selection. Occurs in It occurs in all kind of natural populations. It usually occurs in domestic populations. Examples Darwin finches which are group of birds of 14 species of small birds, evolved from the same species of bird on the Galapagos Islands. It is usually performed on pet animals or animals which are used for economical purposes. Theory of natural selection was given by Charles Darwin in the year 1859. In this process, we can say that when selective agencies are not humans and neither of their choices is favored in the process of evolution is called natural selection. This theory is widely accepted by a scientist in order to explain the working and selection of nature. Evolution is the mechanism of natural selection, in which the fittest one are sorted and are permitted to survive and reproduce to give birth to their new generation while the weaker section which is not able to adapt or cope up with the natural changes or variation are not permitted to grow and reproduce further. It is applicable to all kinds of organisms whether it is a terrestrial, aquatic, or arboreal. In this process, though the selection is very slow, the new generation which has been evolved from their ancestor becomes very transformed and more adaptable to the situation better than they were earlier. By taking an example of a Giraffe, whose tall neck explain the theory of evolution. 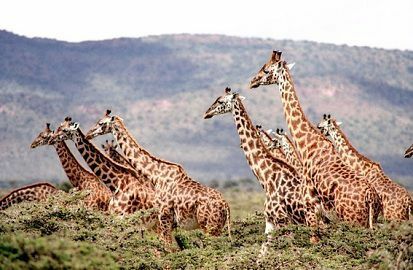 Earlier Giraffes ancestors did not use to have so long neck but to get food from the long trees, which was once unreachable to them and in order to survive, they slowly get transformed. Gradually and generation after generation they developed this unique identity of having a long neck, which was developed only because of the purpose of obtaining food especially from long trees. Hence we can say that natural selection process, depends on environmental conditions like the variation in temperature, shelter, food, etc. But according to the theory of evolution, it is said that though it is a slow process which eventually gives rise to the new species. 3.The high rate of population growth. Artificial selection is done to enhance the quality of a trait or whatever desirable characteristics we need in that trait. By taking an example we will be able to understand it much better. Suppose we need to grow the flowering plant, with some special character of our desire. For this, we will cross breed of the desired characters of a plant and ultimately if the situations favor, it will result in a plant with new and required characters. Though being fast process than natural selection, the chances of survival are lesser and the new ones get totally different from their native generations as well. Thus we can say that artificial selection doesn’t make a species stronger and fit for survival. This process is dangerous and is much in trend, due to the higher demands of good quality of fruits, vegetables, and pets such as cow, dog, buffalo. Natural selection involves the natural process of selection, promoting the fittest one for all time of unpleasant situations; Artificial selection involves the artificial process where the selection is done favoring the desired characters in the new organisms. Natural selection is a long and slow process; whereas it is an artificial process and so it takes less time to complete, selection of characters is done artificially hence chances of surviving new breed is at risk whether it is a plant, or animals or any other organism. Natural selection is controlled by nature; artificial selection is controlled and coordinated by humans only. Natural selection is performed on all the types organisms; Artificial selection is processed on some selective organisms of humans desires. In the natural selection organisms are totally based on the adaptable character and the one who is able to cope up with all types of natural conditions: In artificial selection is done on the basis of required character. Natural selection results in the transformation of the entire population of a species; Artificial selection brings out the new variety of that species. Natural selection occurs in all kind of natural populations and it is a natural selection process; whereas Artificial selection occurs in domestic populations and it is a man-made selection. Examples of Natural selection are Darwin finches which are a group of birds of 14 species of small birds, evolved from the same species of bird on the Galapagos Islands. As artificial selection is usually performed in pet or domestic animals or animals which are used for economical purposes. 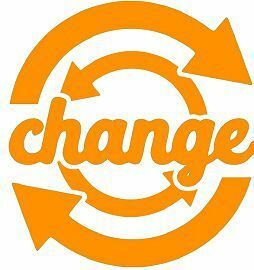 We can conclude that change is the part of everyone’s life, gradually it gives rise to a new species, which can be totally evolved form of their very first species or ancestor. So we can say that artificial is planned selection while natural selection is natural.